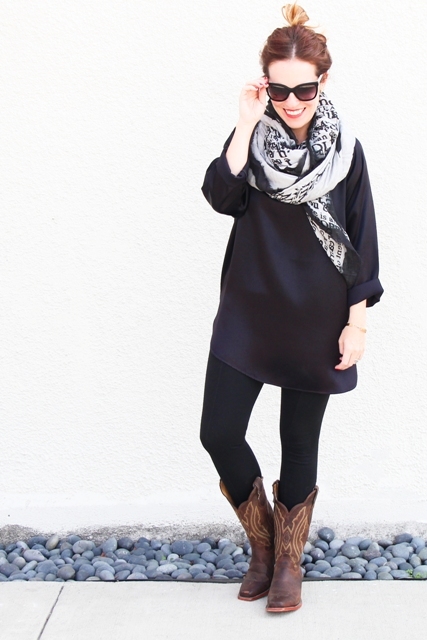 Have you heard that cowboy boots are very trendy right now? I’m sure you have. 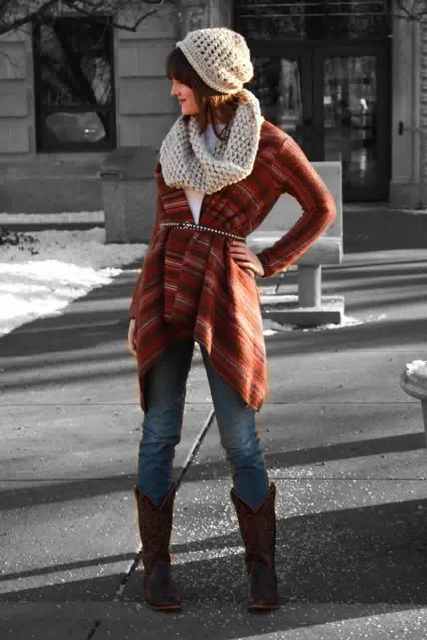 If you want to add a touch of a country style to your image, then you should get such boots as soon as possible. 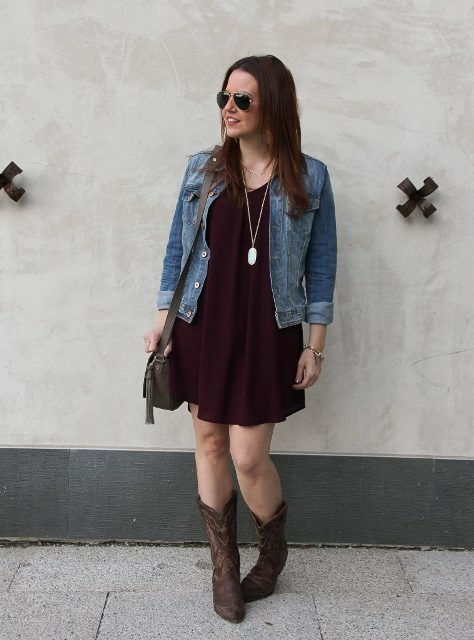 Today we are ready to share with you some cool and stylish outfit ideas with cowboy boots for these fall days. First of all, you need to pick up a color for your new shoes. The most popular ones are black, brown, marsala or dark gray. 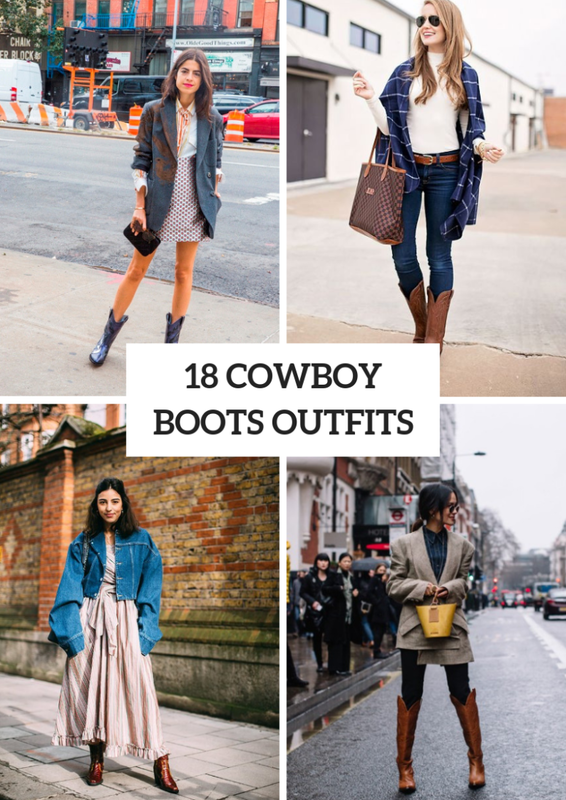 Secondly, think about a height, so you can even find over the knee cowboy boots and combine them with mini skirts or skinny jeans. Now let’s scroll down to see all ideas that we have collected just for you. Get inspired! 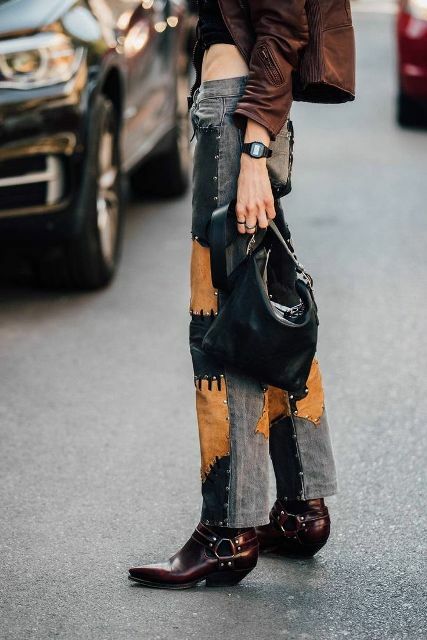 If you want to create a simple casual outfit, then you can take a white t-shirt and mix it with distressed skinny jeans, a black leather belt, a gray suede jacket, a black wide brim hat, sunglasses, a brown leather small bag and brown decorated cowboy boots. 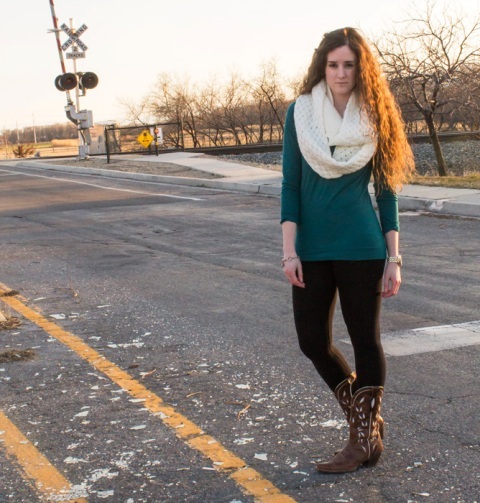 Or combine an emerald shirt with a white oversized scarf, black leggings and brown boots. 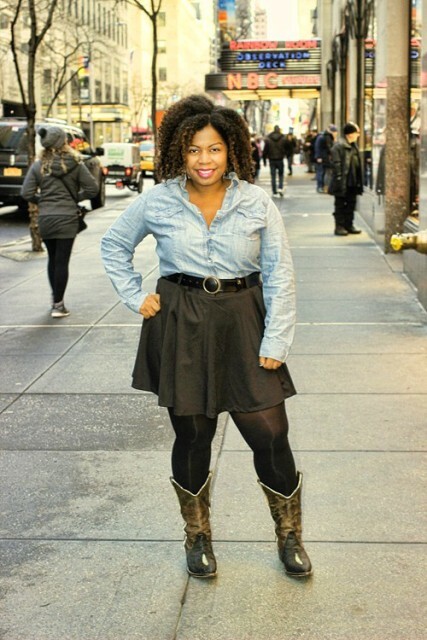 If you want something eye-catching, then you can pair a black shirt with light blue denim shorts, a fringe scarf, black tights and black cowboy boots. 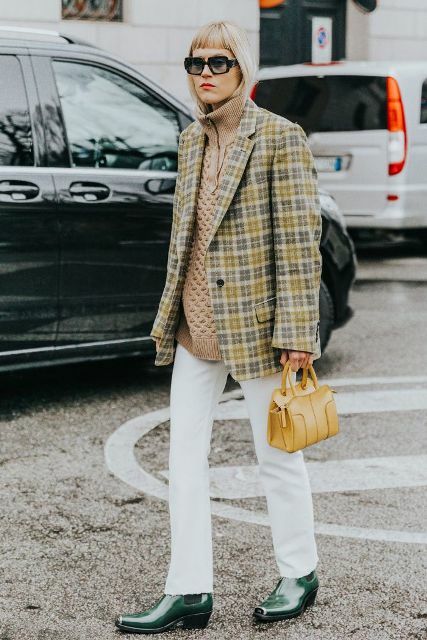 Or you can repeat a combination with a light brown loose sweater, an oversized checked blazer, white trousers, green boots and a yellow mini bag. Love dresses? 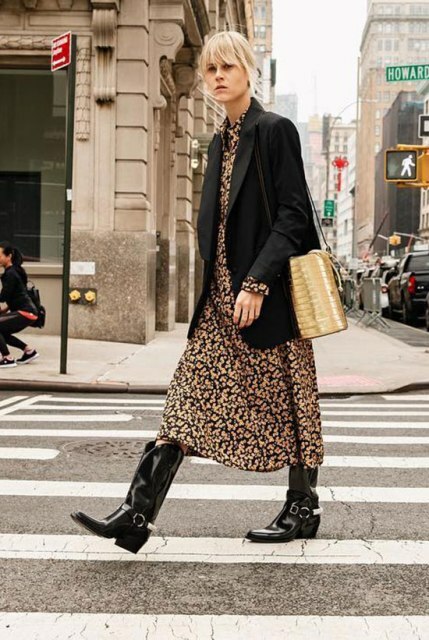 Then try to combine a printed midi dress with a black loose blazer, a golden bag and black patent leather cowboy boots. 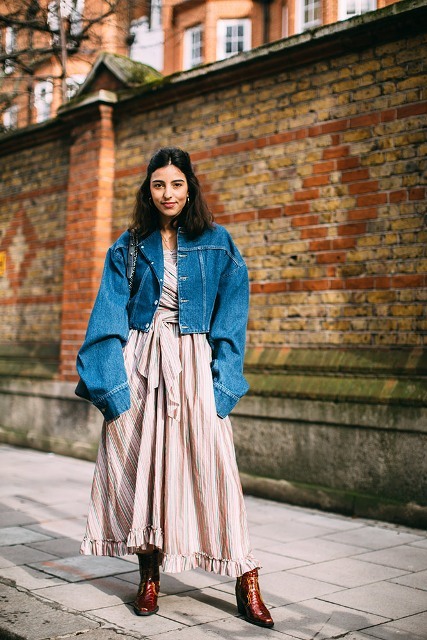 Or take a pale pink ruffled maxi dress and mix it with an oversized denim jacket, a bag and brown boots. 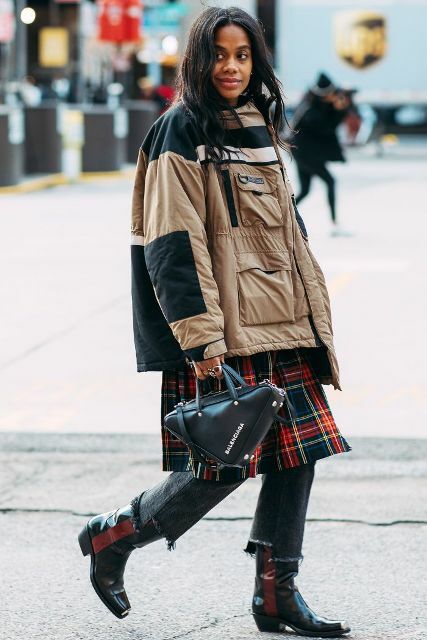 To create a casual outfit with a skirt you can take a polka dot mini one and pair it with a white button down shirt, an oversized blazer, a clutch and blue patent leather cowboy boots.